Time to move some money into my baking/food budget. A quick skim through Baking with Julia shows that I’ll likely need plenty of pricey ingredients and a slew of new pans. It’s been quite a while since I’ve posted here, but I’m back (hopefully). 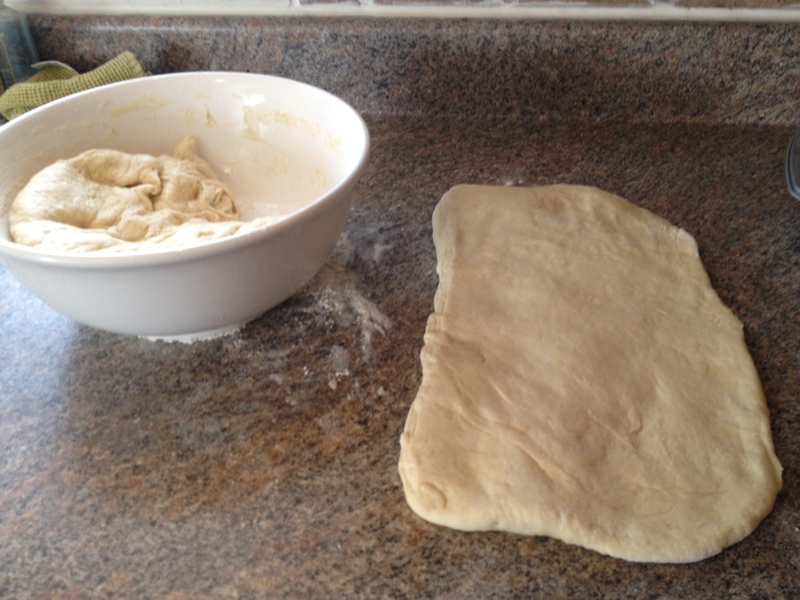 My mom and I are embarking on a new baking project “together,” though we’re in different cities. She’s in Roanoke, I’m in Fredericksburg. But we both love to bake, obviously. She found a blogging community project called “Tuesdays with Dorie.” The idea is really cool: Bloggers bake their way through a cookbook, completing the same recipe within a two week period. 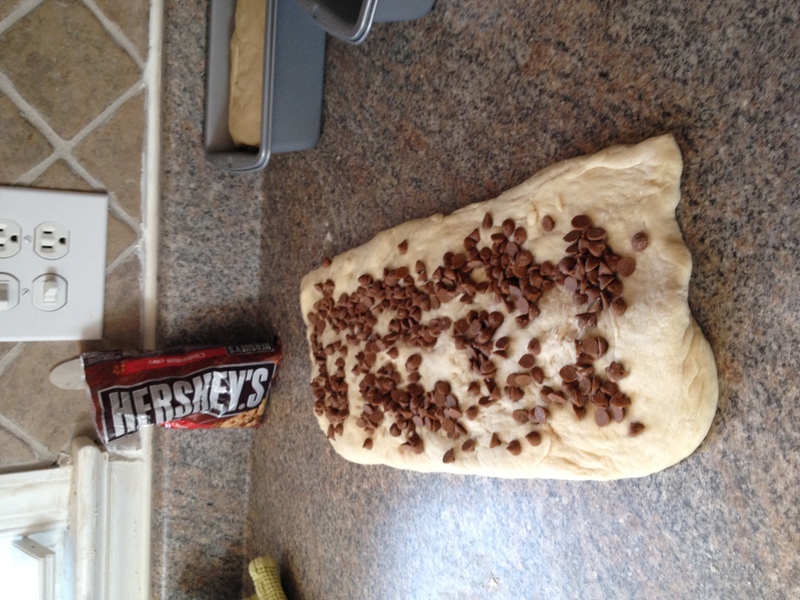 So hundreds of people are potentially baking the exact same treats across the county (the world?) at the same time and sharing their stories. My mom is ordering the book for me, so I don’t even know what all is involved! But a glance through suggested recipes for March shows everything from Irish soda bread to rugelach. That’s why my mom said that we’ll both be buying a lot of pans! 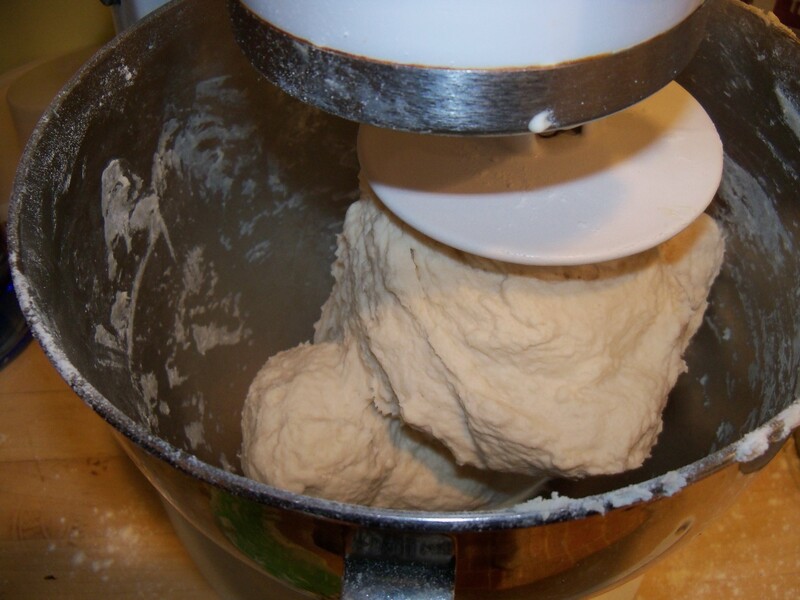 White bread was the first recipe for "Tuesdays with Dorie." So many sandwiches in my future! 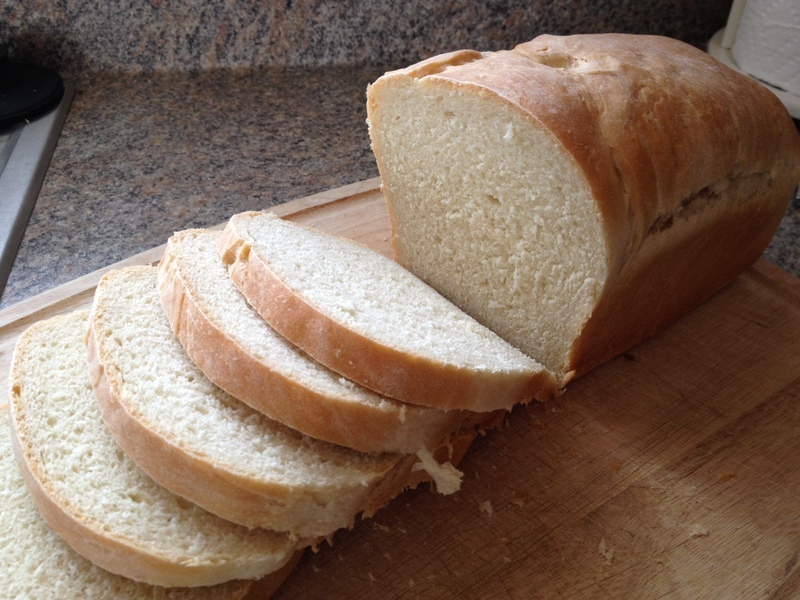 This was my mom's finished loaf. 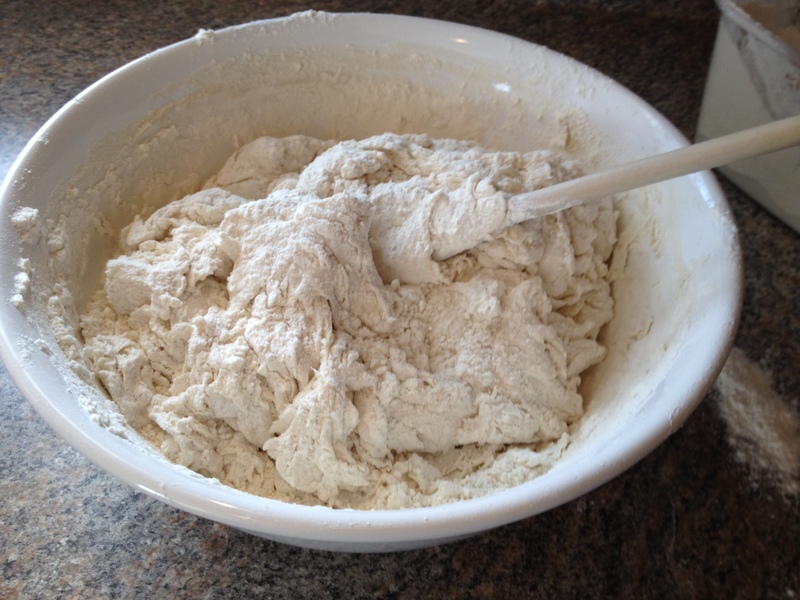 Also for this project, my mom will be using a stand mixer and a full-size food processor, if needed. I’ve got a hand mixer (not a great one) and a mini food processor. I’ll be relying mostly on wooden spoons and my hands. 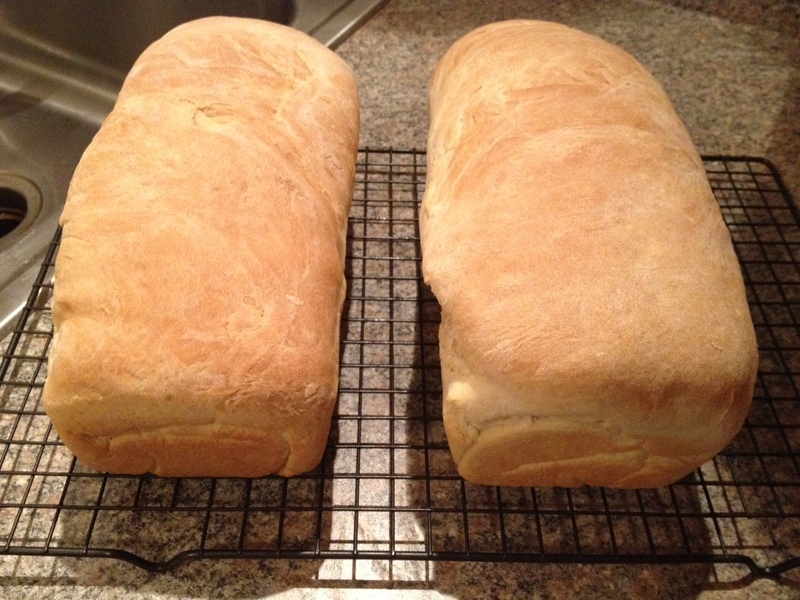 The first recipe was white bread. 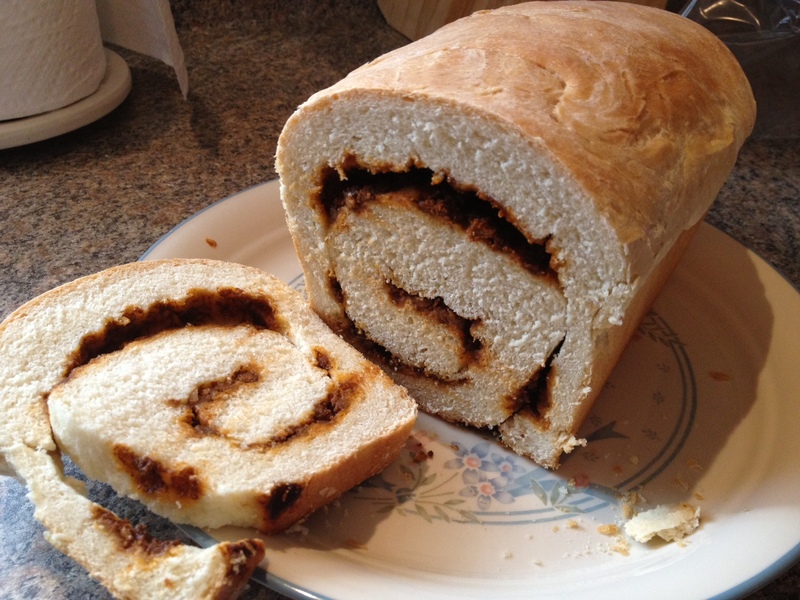 I’ve actually made two other yeast breads in the past month — cinnamon swirl from King Arthur and cinnamon raisin from Fine Living. Each was done slightly differently, but still delicious. 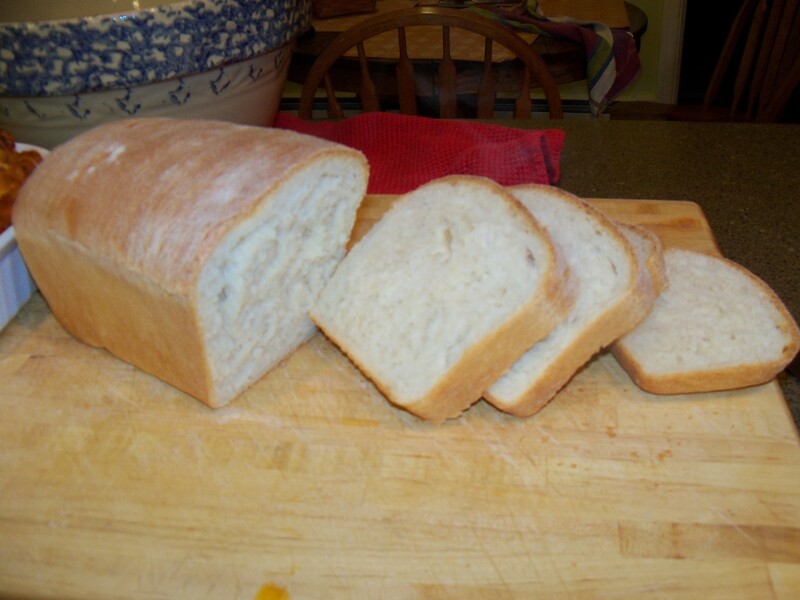 This white bread was unique because you work the butter into the dough at the end, rather than the beginning. Not sure why, but that’s just what it says to do! 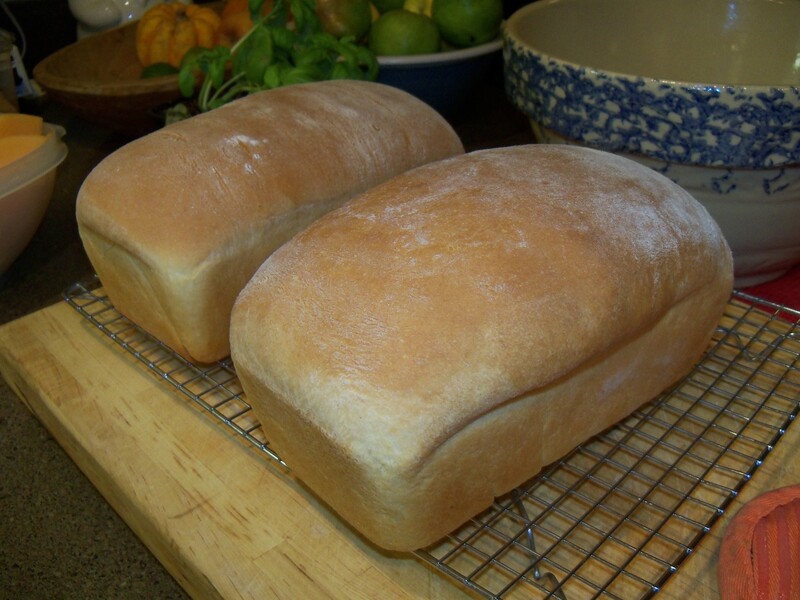 Those are fine looking loaves of bread! All rightie, her bread turned out looking pretty good! Mine took a lot longer to put together since I was kneading it all by hand. Since I don’t have anyone to share all that bread with either, I put cinnamon chips in one of the loaves to continue my cinnamon swirl theme that’s been going on. 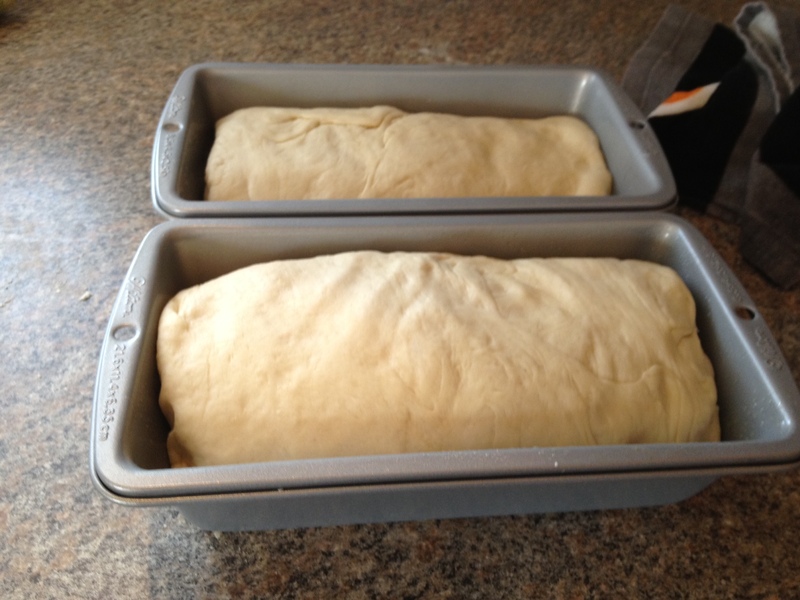 I’ve also already put more than half of each loaf, sliced, into the freezer. I am looking forward to some good pb&j and grilled cheese over the next week or so! Ready to rise! 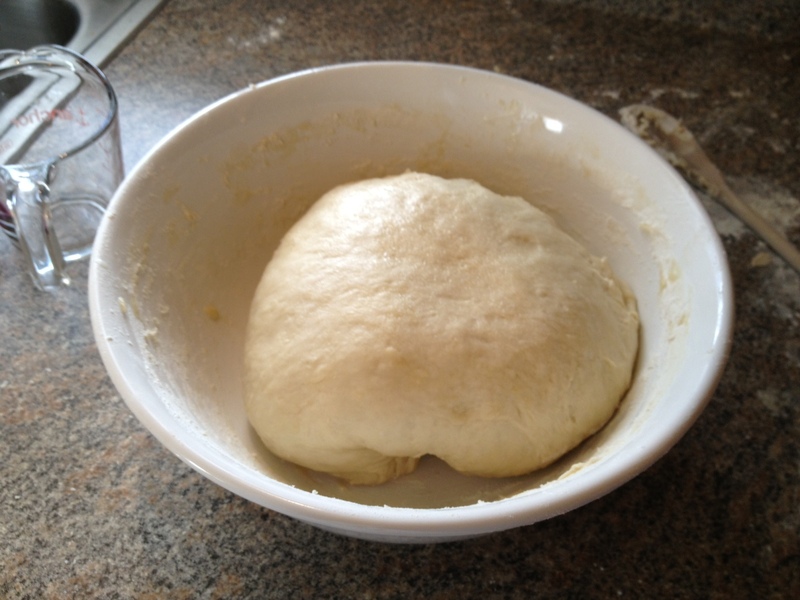 The dough is not quite as smooth as it could have been probably, but I was ready to be done with the kneading! Look how much it rose! You roll it into rectangles that you then fold in thirds. 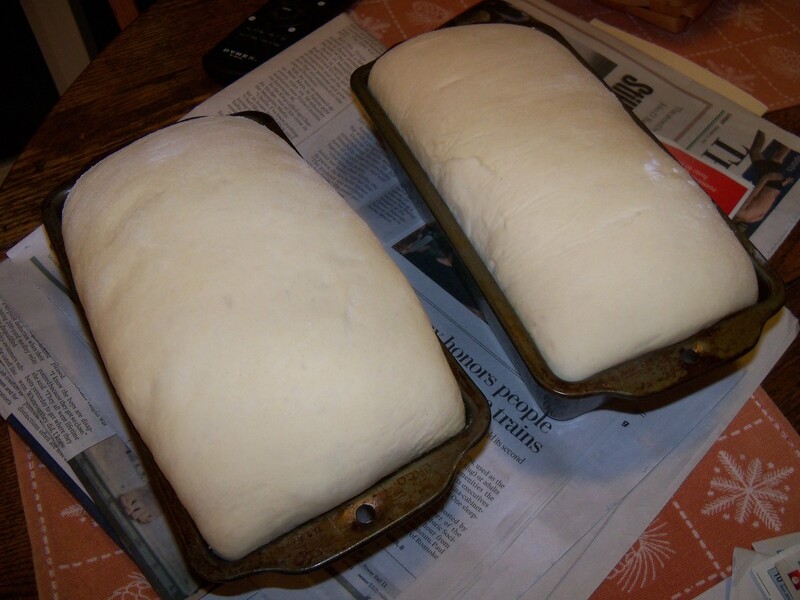 Pinch the edges and put the loaves in the greased pans. 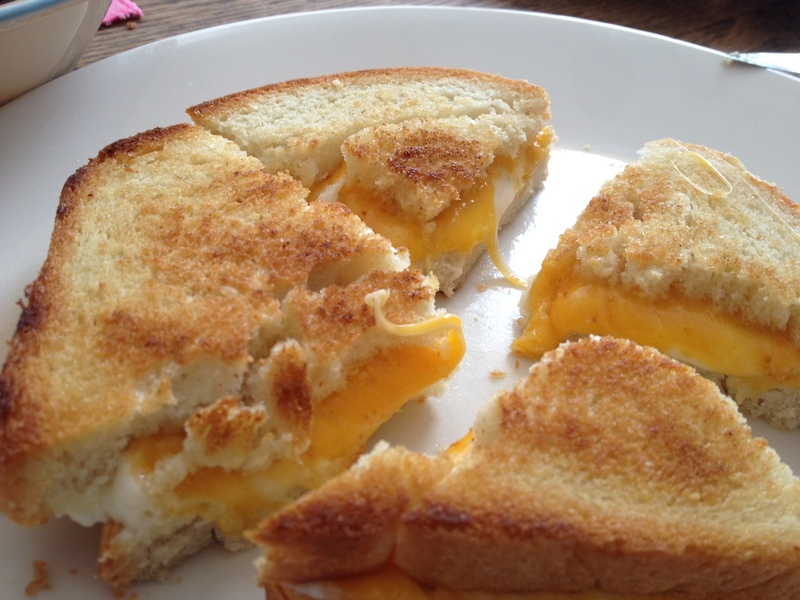 Gooey grilled cheese, one of the best uses for fresh white bread! 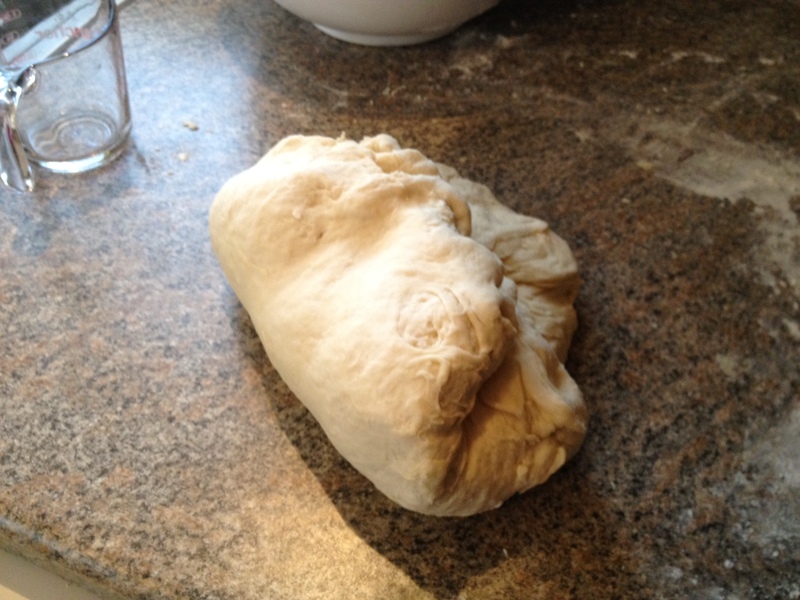 Katie – your bread looked beautiful! I will have to get some cinnamon chips. 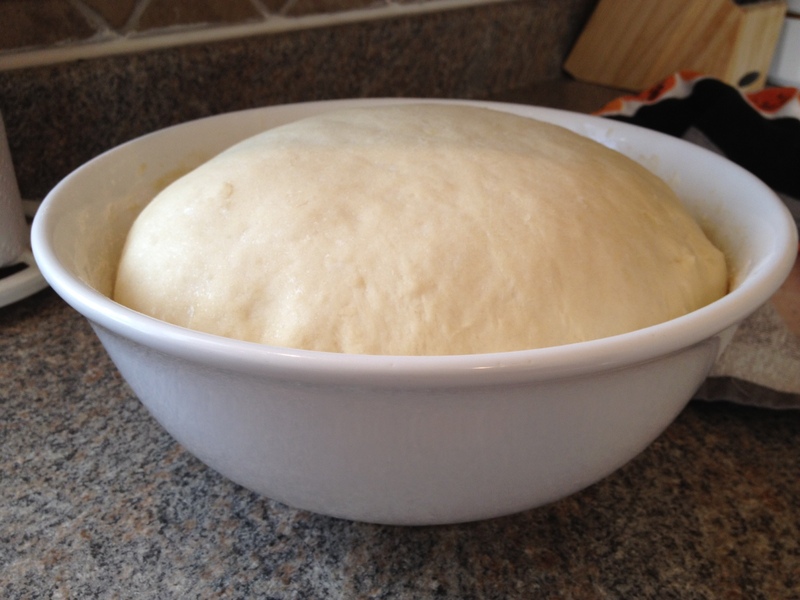 I can only imagine how hard it was to do without a mixer How did kneading in the butter work? Bet it was was kind of messy. Now on to finding mini tartlet pans for our next project! Hello from another baking “Katie”! I’m impressed with your dedication (i.e. 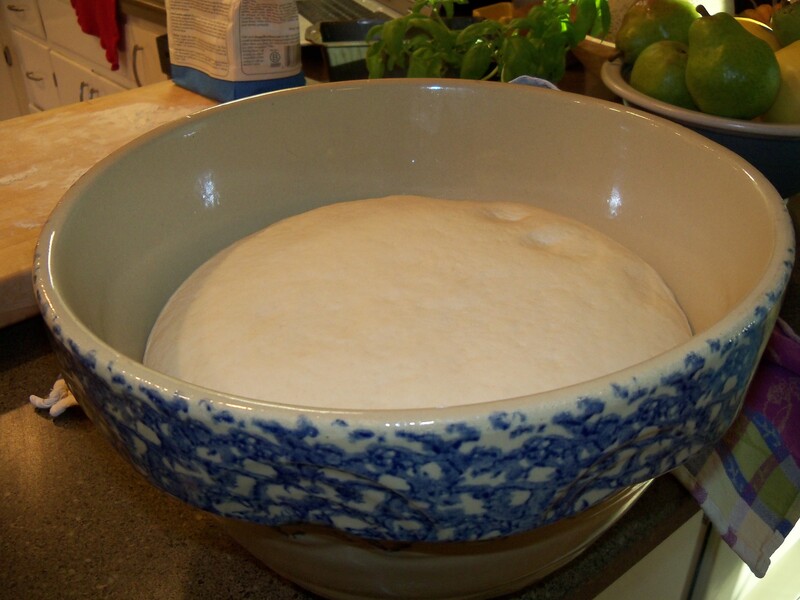 willingness to hand-knead bread). You’ll probably have some killer arms if you keep it up! Good idea about Amazon for pans! How fun to be baking with your mom! I’m always asking my mom questions about baking I’d love to be making the same recipe as her. I usually call her with questions too whenever I’m baking new things anyways, so at least now we’ll be doing the same thing and can help each other out… hopefully.